The development of the Internet gave us an extra channel of communication with the audience. And obviously, it entailed a digital transformation in many fields, including marketing approaches. Looking back on 20th-century business model, it required a mass marketing approach to make your business work. For earlier brands, the key to the successful brand building was a strong presence in the mass media and stores (as there were no sales without distribution). The notion “brand” became a crucial thing to the business model because it created leverage over the retailers forcing them to stock the product on the shelves. Previous products tended to remain unchanged and not differ from their competitors. As a result, “brand personality” approach was established in order to create and cause emotional differentiation between brands. With respect to that, it became necessary to implement that “personality” idea in the media. Back then planners in media agencies knew how to connect brands with consumers and were focused on understanding how people consumed advertising. 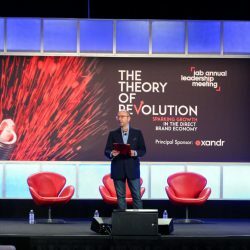 As the sale process is moving from offline to online and Millennials are becoming the largest and most solvent part of the population, the approaches to brand building are gradually shifting from “Brand-centric” to “Consumer-centric” and it became the dominant characteristic of the 21st century business models. 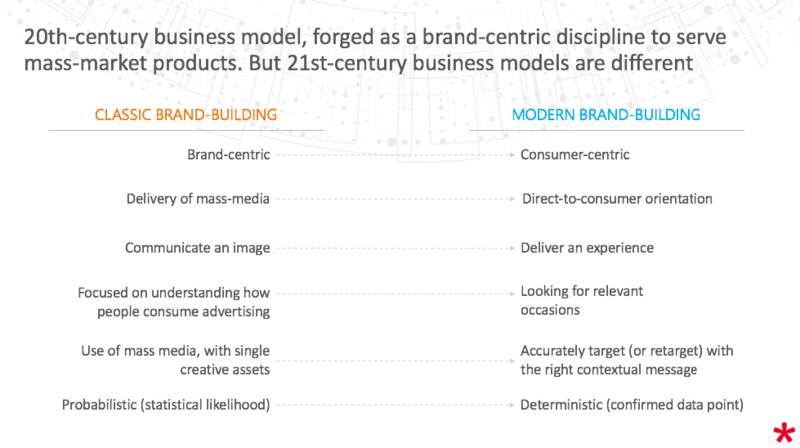 And as new business models are not brand-led anymore, they stop following the same brand-centric approaches to marketing and communication. Differentiation between competing services can be achieved through relevance and experience improvements rather than through brand emotion and personality. Thus, planning skillset became subject to changes as the creation and delivery of mass-media and brand-building advertising were thirsty for new approaches. Guy Murphy, Global Chief Strategy Officer, JWT in his paper Transforming planning for the 21st Century, questions the relevance of planning in the 21st-century digital age where services and experiences are the key consumer drivers. Now Brands can accurately target (or retarget) users with the right contextual message. In contrast, the use of mass media, with single creative assets, appears strangely wasteful. In order to evolve planners should move away from ‘brand-down’ approaches to developing planning from the perspective of consumers in the first place. And the prevalence of personalised user and audience data makes this approach very compelling. In order to implement these new approaches of communication with users, a lot of brands put data at the core of its data-driven strategy. Programmatic produces a lot of data and is able to use that data very effectively. But to be effective brands do need a decent data strategy and tools. Don’t do data work without a clear idea of what you want in the end, and how it is going to be delivered. Collect. There are three data sources for advertisers. First-party data collected on the advertiser side. Enabling access to CRM data, alongside on-site and app collection, provides brands with a far richer view on their customers. Second-party data is any data that is collected directly from a source in a raw format. An advertiser systematizes data in order to create specific audience segments. This kind of data is more likely to be exclusive to the brand or not widely available. Third-party data is the prepackaged segments of data often collected from multiple sources by another company. It tends to be widely available. But an advertiser should keep in mind that first- and second-party data won’t just appear out of nowhere. A clear strategy of what is needed and how it can be used and segmented is vital at the planning stage. The last but not the least important thing to mention: the sooner you start collecting data, the more valuable info you will have. Model. Trying to turn collected data into something intelligible. The process can be divided into several steps. The first step is segmentation, which is the art or sometimes even science of chopping and mixing raw data into groups. These groups can be used for targeting or gaining insights on the customer’s behaviour. The second step is behavioral modelling, which is the process of understanding attributes that a segment or a group of people possess. For instance, the devices they use; when users are most active; where they live or work, etc. It can be helpful when it comes to the traditional planning of where to buy contextually, which sites are key for homepage takeovers, etc. And the third and final step is overlaps and look-alikes. By taking segments and analyzing them statistically, advertisers can either find similar users based on data points (look-alikes) or find similar segments (overlaps). Act. Take the data and make it work by turning it into “gold”. That means we have to be able to get segments from the data source to the point of delivery—usually the Trading Desk. Brands have a huge amount of accessible data. It has to be analyzed and interpreted in the right way. Brands should make decisions based on all the data they have. Otherwise, if they got none of it, they better ask themselves where they can get it to make the decisions needed. And always remember that the most informative, the most relevant data won’t appear until you start running and collecting results. There is so much potential within creative work and data usage due to programmatic. A creative has to understand who is being spoken to, and what variations are possible on what data indicators. The process of setting up and segmenting the data has to be based on the message an advertiser wants to deliver. The message has to be as meaningful and relevant as possible. The talk of ‘user-centric marketing’ is all about this drive to personalization, putting the user in front of the decision-making process. Combining data with creative planning makes both work with maximum efficiency resulting in higher performance. One of the recurring themes within programmatic is ‘data silos’. Earlier, brands used to buy advertising in silos. They would just probably show a user an ad on a certain site for one reason, then also show them a video on another site for another reason. The problem is the two of them are not connected. We didn’t show them the video, because they saw the ad before. Nowadays brands have (or increasingly have) a single buying methodology for many of the interactions they have with a user. 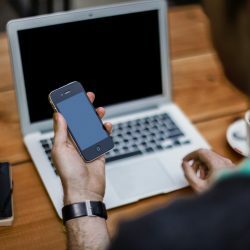 That means they can finally start trying to craft the user journey on their own: advertisers can introduce brand through video, following it up with a reminder in audio ad format, and then announce sales via display. This is one of the most exciting moments, as we can actually design what we expect the conversation with each and every customer to be like. Again, a creative along with data and the client forms a unique key compilation brands should exploit in their advertising campaigns. The key elements marketers should keep in mind to make sure Programmatic reaches its full potential. The first thing brands should have is measurement. Make a list of everything you want to know. There is a lot of what we can measure and insights that we can get from it. Attribution is something that now needs to be brought into the room for discussion. The next thing is data. Identify relevant data, collect it as soon as you can to maximize its amount. Collect it in a tool that allows you to understand and add value to it. Then, most importantly, make sure you can gain something tangible from it. The third thing to have in place is resources. We need much more people with a far greater range of expertise to do programmatic at the professional level devoting all of its capacities. As the required skills in the industry have diversified, we can no longer put planning down to a few individuals. There should be tech teams, creative teams, data teams, buyers and account management gathered under one umbrella. It doesn’t mean an advertiser has to hire them all. Brands can create a team that covers all of their needs by working with the right partners. The next thing in line is inventory. The more precisely and granularly you target audience, the harder it is to reach them at scale. To match the maximum of built audience segments and data points advertisers need to have access to a wide range of ad inventory and ad formats. Finally, ad tech. A lot of things mentioned above require technology, and capabilities of these technologies come to the fore. To cover all these needs agencies need to acquire a full range of technologies and be able to work with them. In spite of numerous benefits, there are several challenges agencies and advertisers face. Choose the right tech partner. 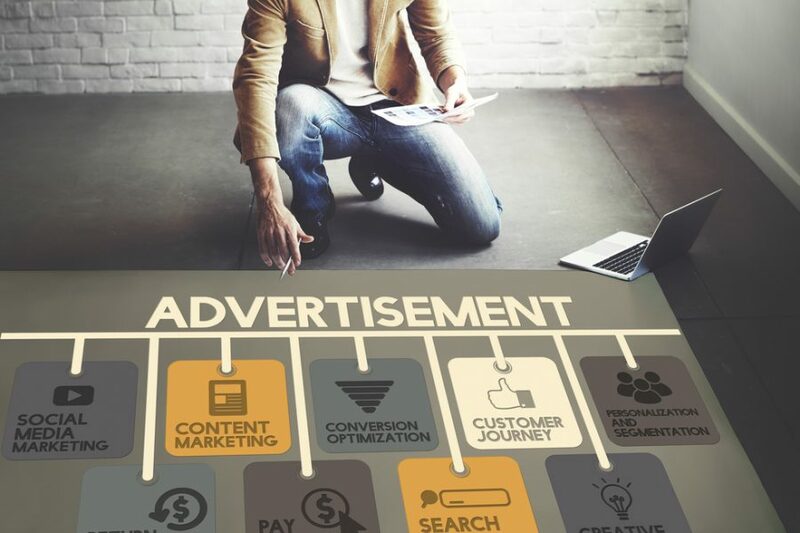 Those who have encountered the programmatic will most likely agree that it is difficult to get to the bottom of all the different ad tech players and solutions they offer, compare its advantages and disadvantages. It’s a lot of fish to catch in the technology waters, a lot of choices to be made, and a lot of puzzles to be solved. What works for one client may not work for another. (A lot of helpful information regarding how to compare and evaluate ad tech partners can be found in AdProfs guide). Plug-and-play. Existing technology are often introduced to the market as standalone point solutions, while advertisers are more interested in the full stack turnkey solutions. This mean it is not enough just to have DMP, analytics and buying tools separately. For effective programmatic process, all the tools need to be easily integrated with each other and with other external or in-house services of the advertiser/agency. The availability and robustness of an API to bring all the different tools together is another challenge to consider. This can force advertisers to look for a technology provider that possesses a full stack of already integrated and intertwined programmatic solutions. Localization. Each advertiser has specific needs. Some other needs may be dictated by the market specificity (e.g. 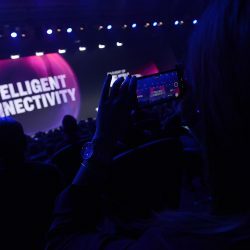 when ad inventory suppliers like DOOH, Connected TV are on different stages of its technical evolution still need to be available to purchase via single platform). In this case a technology provider should be flexible enough to adapt its ad tech solutions to the current state of the market or adjust it to the advertiser’s needs. Thus, companies that own technology are valued at a higher rate. On one hand, owners of technologies make it possible to refine and adapt a system to the specific needs of the market or advertisers. On the other hand, a lot of media buyers prefer to work directly with the technology provider to reduce the costs. Support. For a bunch of reasons, advertisers require different levels of support when it comes to using ad tech services. And as it was already mentioned, one of the key elements advertisers need to have in order to stay competent and effective in programmatic, is the ability to engage team (on the ad tech provider side) in planning and implementation processes. Still, support needs to remain unrequited since a lot of the platforms are purely self-service. Basing on described criteria and aiming to overcome existing challenges, Admixer has built its ad product line that covers all elements of the programmatic ecosystem and helps brands to be effective in Programmatic. To learn more contact Admixer Team or request a demo on https://admixer.net/tradedesk.